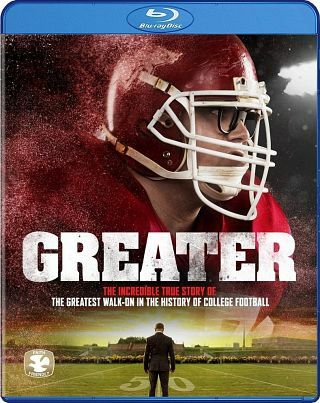 Brief Synopsis – After a college football star is tragically killed in an accident, his family tries to find meaning in it all. Based on a true story. My Take on it – I’m not the biggest fan of film that try to preach religion in order to sell their story and was a bit skeptical before seeing this after I realized that this is a sports film filled with religious connections. They do get a bit preachy and do skirt the issues of faith and religion, but ultimately, this is a very emotional story about someone who had a dream and did all he can to make it happen. Yes, many things happen in the world that are unexplainable, but this film tries to give us a bit of meaning to it all. The cast is great here and they help us believe the story because they all seem so genuine. The way they tell the story as a sports film makes it so uplifting. Bottom Line – A bit preachy, but done so well that it doesn’t really matter much. Very emotionally uplifting story that skirts religious issues, but ultimately lets you chose for yourself what to believe. The cast is great and they all feel genuine. Highly Recommended!